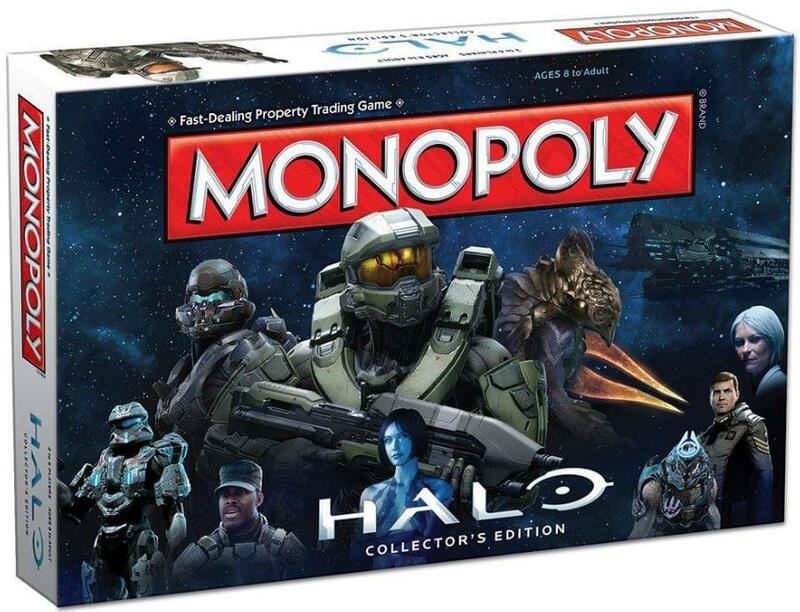 Halo Monopoly Game USAopoly Halo Games Join Master Chief on a campaign to gain control of critical locations and legendary assets from the Halo Universe in the special collector's edition of Halo Monopoly! Use your wits to take command of Arcadia, the Covenant capital of High Charity, or even Earth itself. Ages 8 and up.